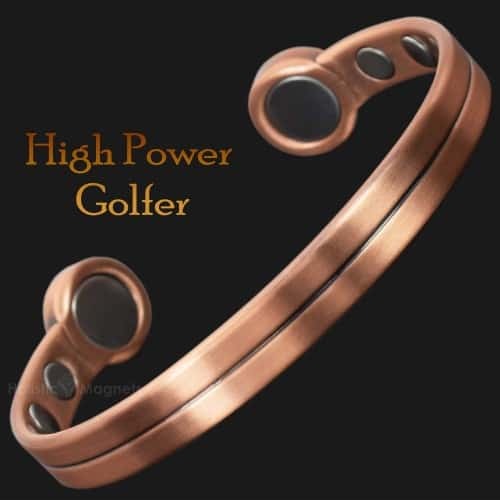 Medium: to fit wrists approx. 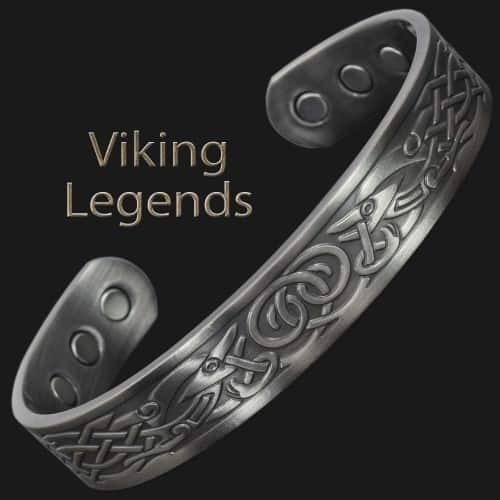 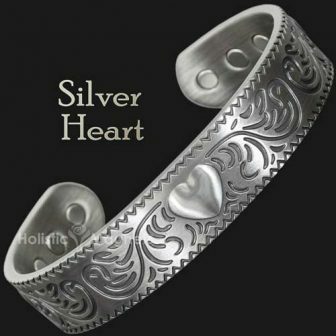 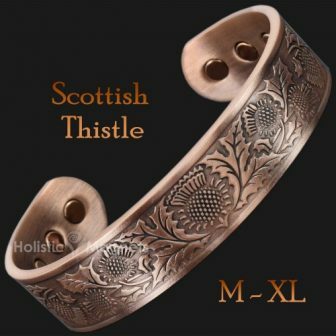 Large: to fit wrists approx. 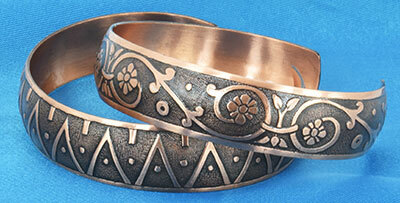 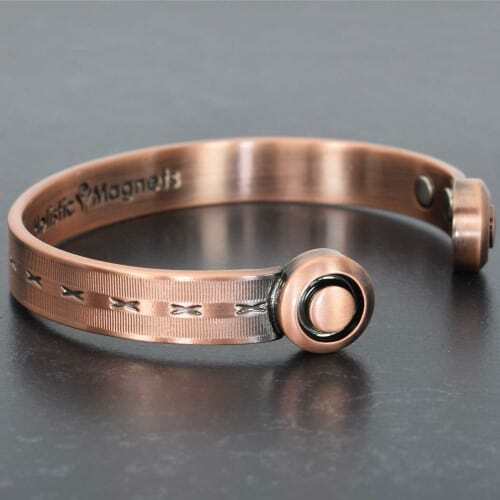 This copper magnetic wristband features wide, rounded ends to hold two powerful neodymium magnets. The large 5000 Gauss magnets will provide you with even greater healing, and pain relieving power. 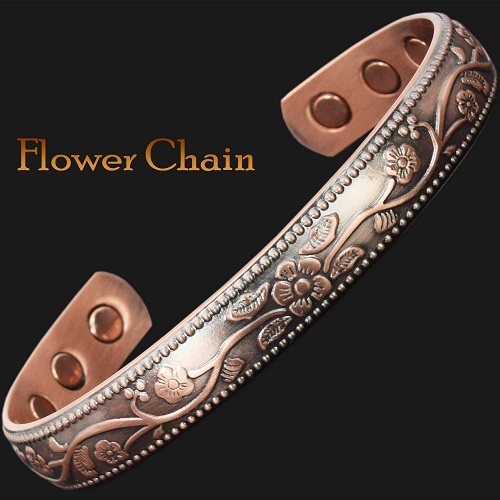 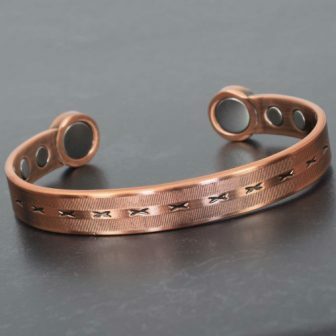 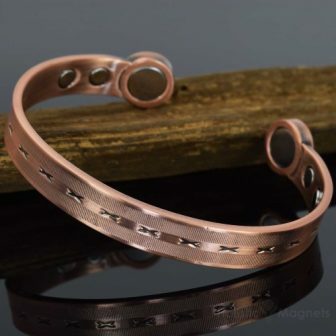 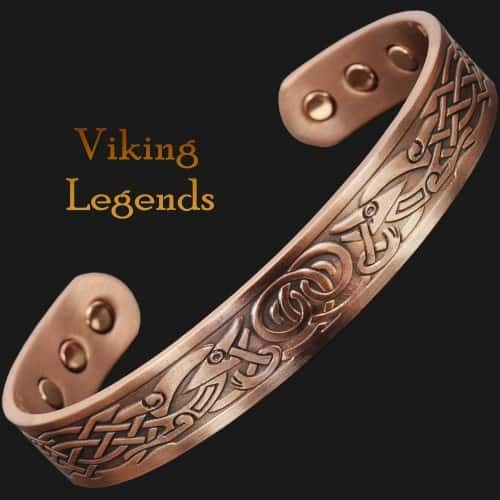 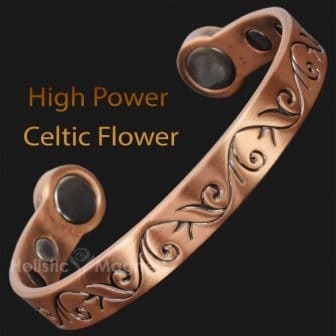 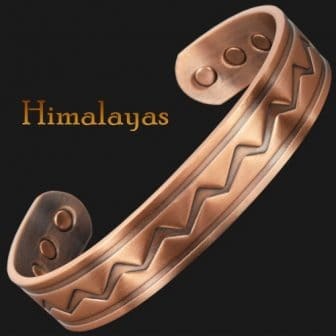 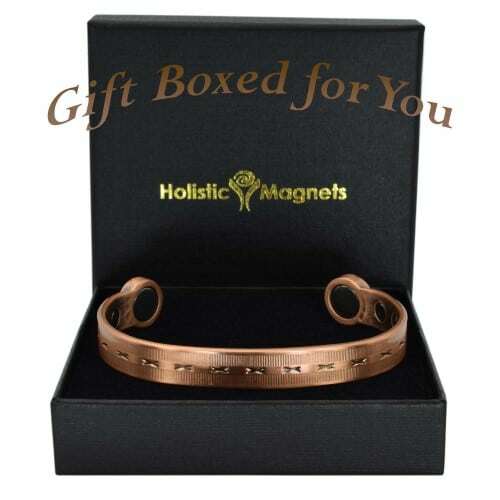 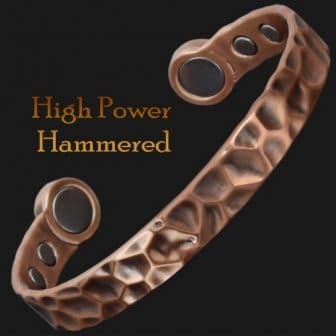 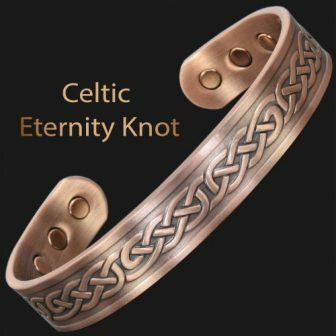 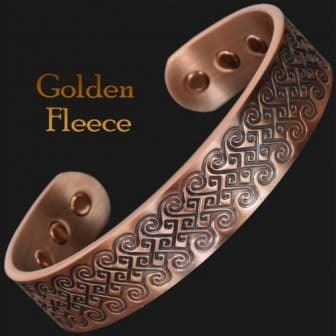 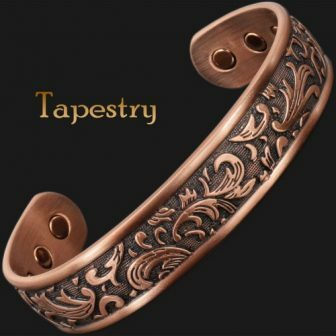 Copper magnetic bracelets help relieve pain and discomfort associated with arthritis, rheumatism, carpel tunnel syndrome or injury and reduce swelling and stiffness. 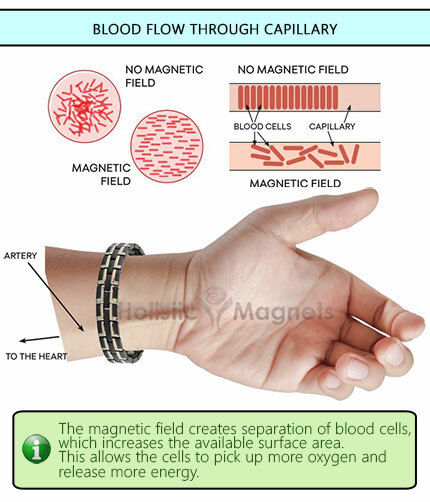 Increase blood circulation which leads to more oxygen and nutrients available to painful areas. Reduce inflammation, lactic acid, calcium deposits and other toxins in the body. 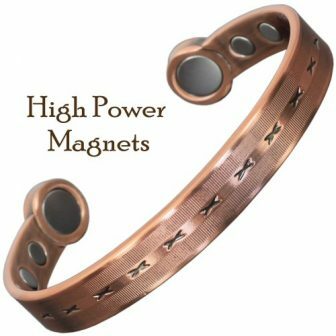 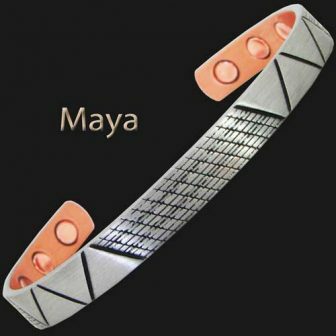 Copper magnetic bracelets assist to healing nervous tissue and bones due to the magnets ability to accelerate the migration of calcium ions. Can help the body produce more endorphins, which are known as natural painkillers. 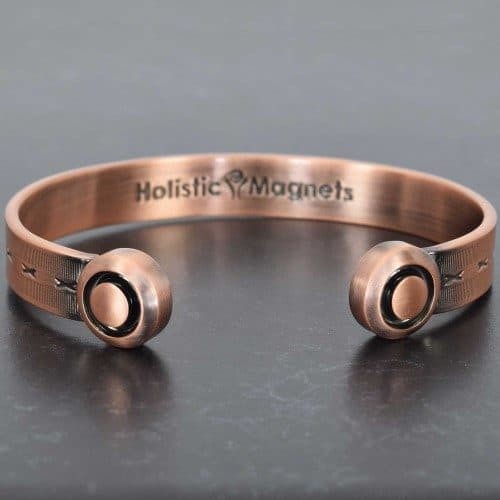 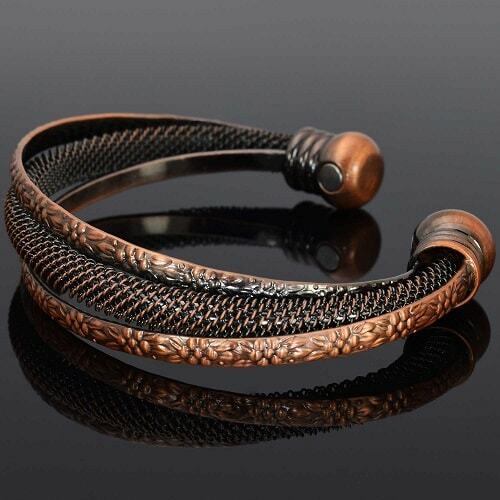 Copper magnetic bracelets promote peaceful sleep as the magnets can influence the production of the hormone melatonin in the body. 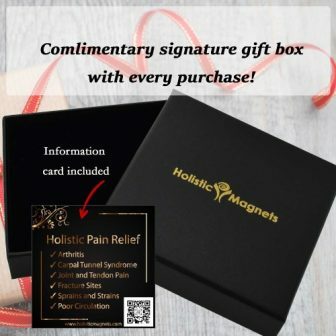 May stimulate collagen density in and around joints proven in studies to heal bones and joints faster and to help alleviate chronic pain and invigorate overall well-being. People with cardiac pacemakers should avoid wearing magnets.